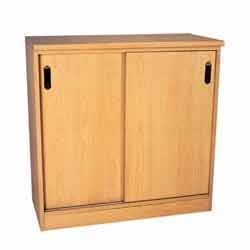 Our offered range of Modular Storages has a wide client base due to its distinctive features like excellent finish, innovative designs and low maintenance. It is available with us in different patterns, colors, sizes and shapes which can be further customized by our team of professionals to meet the specific requirements of our patrons. 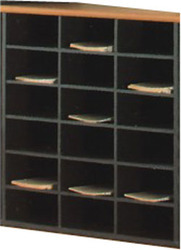 Our clients can avail from us an exclusive range of Filing Storages in Pre-Laminated Particle board with PVC edge banding tape. 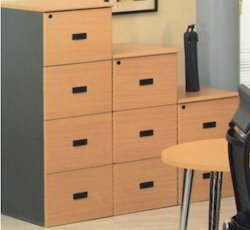 Filing Storages can be made with two drawers, three drawers or four drawers as per the requirement of the client. These are made using high quality material with latest technology. Our valued clients can avail them at very cheap prices. 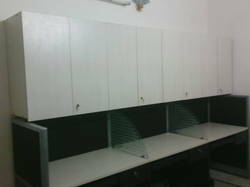 Ground Storages with Glass Door Storages in Pre-Laminated Particle board with PVC edge banding tape. The storages can be made in full glass doors or half glass doors as shown in the image as per the clients requirement.These storages are used for filing purposes and gives an elegant looks to the interiors of an office. 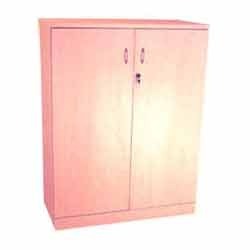 Our clients can avail from us these Glass Door Storages at very economical prices. ?? 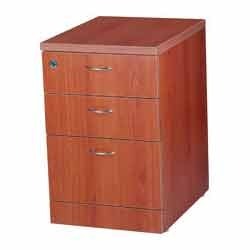 Specifications: Packing Material: Bubble foam and carton Specific Use: Filing Cabinet Material: Wooden General Use: Commercial Furniture ?? ?? ?? ?? 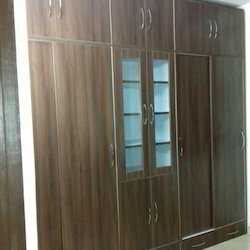 Modular Bedroom Wardrobe in Pre Lam Particle Board. Elegant design for Modern Homes. Sliding Doors on left and right sides. Book shelf in centre with glass doors. Swing doors below book shelf and also on top of the unit. Size : 2850mm W x 600mm D x 2700mm H. Hardware used is all Branded 'Hettich' and 'Hefelle' Germany. Looking for Modular Storages ?